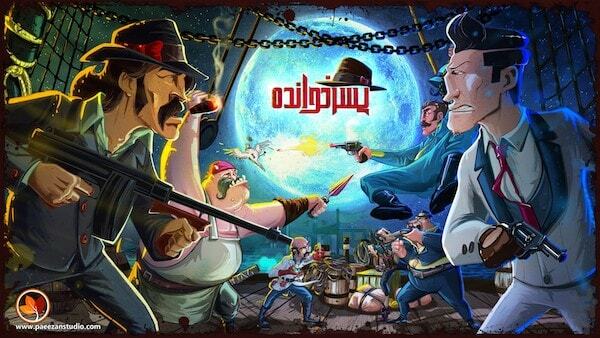 Mafioso (Pesarkhande) is a multiplayer turn-based strategy game, narrating a course of events when Mafia groups seized the control of different city districts. Innovative, engaging gameplay and iconic characters with unique art style make Mafioso an appealing experience. This is an interview with Mohamad Zehtabi from Paeezan Game Studio. Mafioso won the 2nd IMGA MENA Excellence in Art award. Paeezan Game Studio is an independent game studio based in Iran. Our goal is to create high-quality multiplayer games for players all over the world. For those who don’t know Mafioso (Pesarkhande), can you give us one sentence to describe your game? Mafioso is a PVP turned-based strategy game which players need to collect heroes, upgrade their abilities and use them wisely in battles in different arenas. Mafioso focuses on innovative and engaging gameplay and iconic characters with a unique art style. Mafioso benefits from elements of turn-based strategy, online battle arena, and card games, so a wide selection of game characters and precise and timely use of their abilities and efficient utilization of mana points are essential to winning battles. The characters are inspired by Tehran’s lifestyle in the 60s and Italian mafia mobs. Each and every one of them has their own unique sense of style and clothing according to their personalities. Mafioso has a kind of dark comic vibe which we tried to reflect that humor through the characters in the best way we could. We are an independent game development studio who has been working on different PC and mobile title games for more than 6 years now. Our first project “E.T. Armies” which has been produced by our development team was voted as the most anticipated indie game of 2013 by indedb.com community. Our second project is called “Magnis” which is a mobile title with a unique and challenging gameplay. Currently, we’re working on our new title “Mafioso” and we have many exciting plans for developing it. The comic-style design is amazing, the game is challenging and fun in the meantime. What inspired you? At First, we had 3 different prototypes and after making those prototypes we come to realize that which kind of gameplay could be more fun and challenging for the players. We set our goal to make a strategy game that is different from other strategy games a game that has a new art-style and gameplay and also easy to learn but in the meantime hard to master so Mafioso is based on our 3 other games and it is the mixture of our ideas. And if I want to say what inspired our art, designing our characters and storylines I must say Tehran’s lifestyle in the 60s and Italian mafia mobs and some movies such as GodFather, Good Fellas, and some other crime thrilling movies were a huge inspiration to us. It was so overwhelming for us we were so excited for Winning the title “Excellence in Art”. Since we have not published our game globally yet and it was in our plan to do so now winning this title surely could helps us to get to that point that we wanted to achieve and also Getting selected by different judges from around the world with the various and different point of views and cultures means we did our job on that field in the best way and we are trying to making our game better and better for the IMGA global contest. We have some ideas for starting a new project but Right now like I mentioned earlier we are on the verge of publishing our game worldwide so we are working a hard as we can on the game to make it ready for all the players out there. Lastly, we want to thank IMGA for choosing us as the best game in Art in MENA region that made us so honored and happy and we will try our best for the IMGA Global contest.